The Nano Membrane Toilet Blog: First lab results coming in! First lab results coming in! After all the ideas and necessary planning phases, we're finally testing our ideas in the lab. 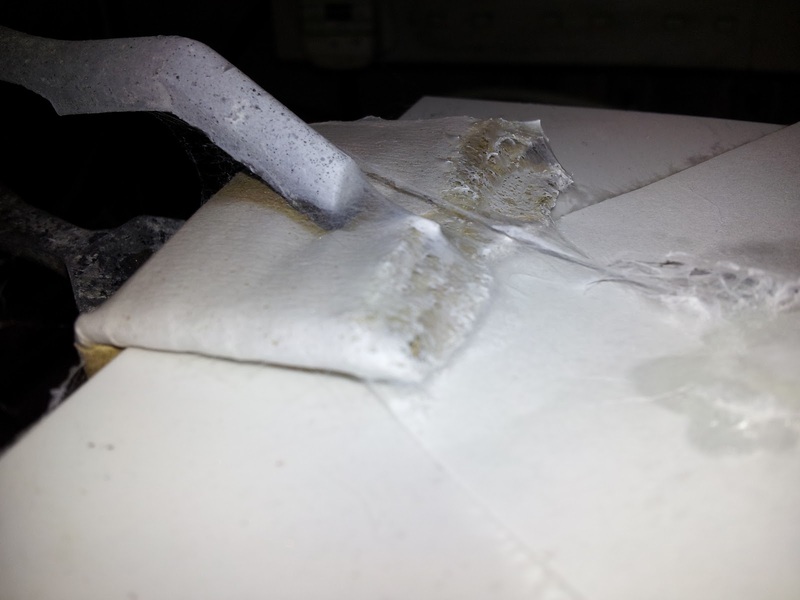 This photo shows an electrosprayed polymer web encapsulting a cardboard substrate. Ongoing work will determine the optimal configuration of the electrospray heads and how the liquid polymer should be delivered to the spray heads.